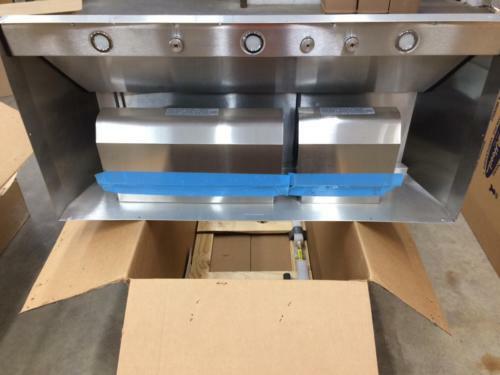 Specifications: 30"W x 19-1/2"D x 6"T (12" deep top); 3-1/4" x 10" top or rear venting. Click here for specs. 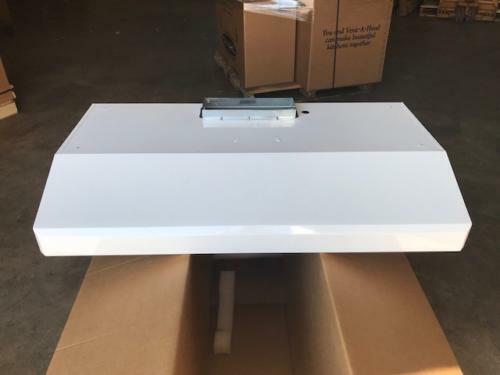 Description: Vent-A-Hood 250 CFM undercabinet, V-Line range hood in White with GU-10 style LED lights and SensaSource technology. Brand new, never used, full warranty. 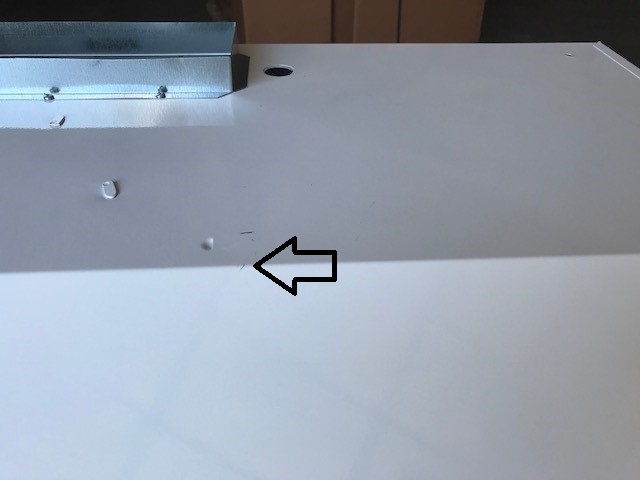 Discounted due to very small paint blemish on the front lip see photos below (note that the clear tape on the sides is protective and would be removed upon installation). Call 888-933-6529 or email info@shadyoakdist.com for more information and availability. 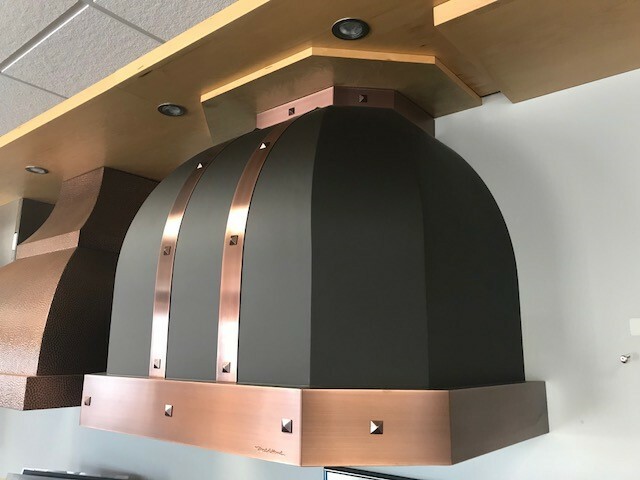 Description: Vent-A-Hood 250 CFM undercabinet, V-Line range hood in Slate with halogen lights and SensaSource technology. Brand new, never used, full warranty. Slight streaking in paint, seen at the right angle with the right lighting. Specifications: 36"W x 19-1/2"D x 6"T (12" deep top); 3-1/4" x 10" top or rear venting. Click here for specs. Description: Vent-A-Hood 250 CFM undercabinet, V-Line range hood in White with halogen lights and SensaSource technology. Brand new, never used, full warranty. Discounted due to very small paint blemishes on the front slope and front lip, see photos below (flaw on lip so insignificant, it could not be photographed). Description: Vent-A-Hood 250 CFM undercabinet, V-Line range hood in Black with halogen lights and SensaSource technology. Brand new, never used, full warranty. Perfect condition, mounted in showroom. 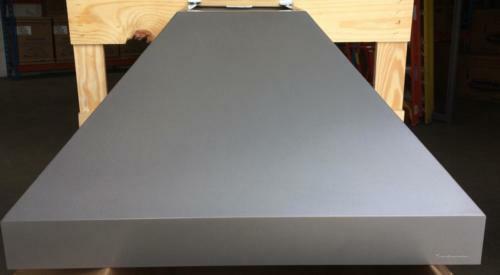 Specifications: 30"W x 21"D x 9"T (12" deep top); 6" round top venting. Click here for specs. Description: Vent-A-Hood 300 CFM undercabinet, Magic Lung range hood in White with LED lights and SensaSource technology. Brand new, never used, full warranty. Very subtle paint flaws shown below. Showroom display model. Specifications: 36"W x 21"D x 9"T (12" deep top); 6" round top venting. 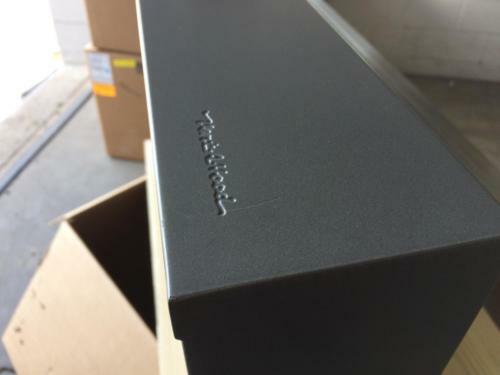 Click here for specs. 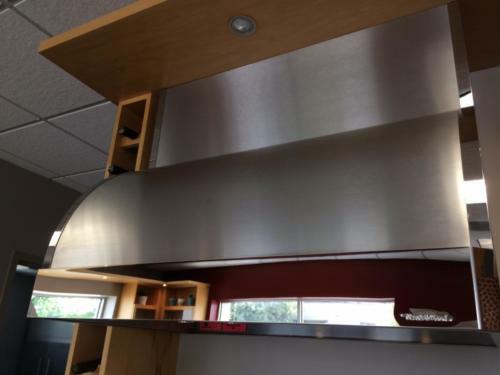 Description: Vent-A-Hood 300 CFM undercabinet, Magic Lung range hood in Stainless Steel with LED lights and SensaSource technology. Specifications: 36"W x 24"D x 18"T; 12"D x 12"W top. 6" round duct outlet, centered. Description: Vent-A-Hood 300 CFM wall mount hood with LED lights and SensaSource technology. 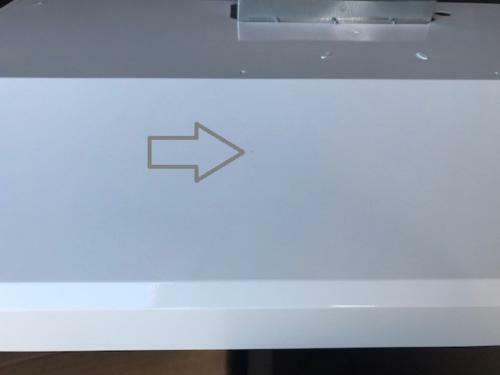 Mounted and used briefly. Discounted due to small scratch on lip, near the logo, which does not affect performance. Specifications: 66"W x 24"D x 18"T; 14"D x 26"W top. 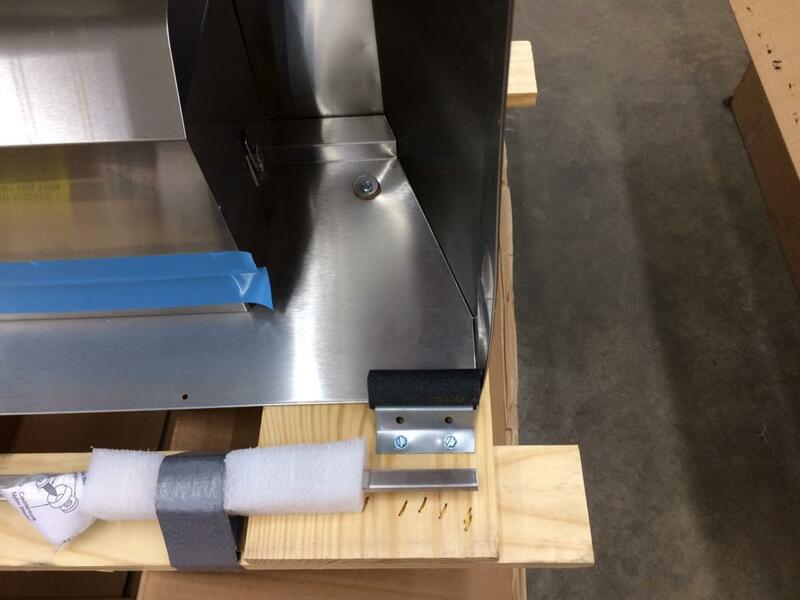 Includes a VP563 transition to convert (2) 8" round duct outlets to (1) 12" duct. Click here for specs. 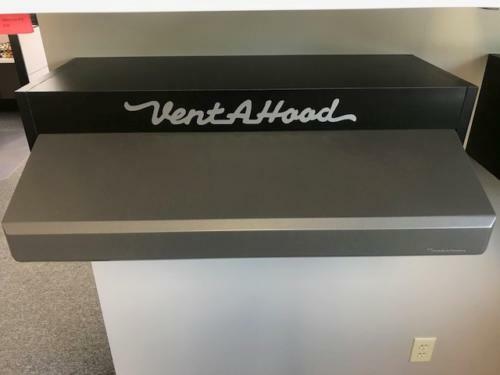 Description: Vent-A-Hood 1200 CFM wall mount hood with halogen lights and SensaSource technology. Brand new, never used. Discounted due to small wave on front lip and slope, which is hard to see unless you look at the right angle. Does not affect performance. Specifications: Hood: 36"W x 24"D x 18"T; Duct Cover: 18"W x 16"D x 12"T with 12" top depth. Click here for specs. 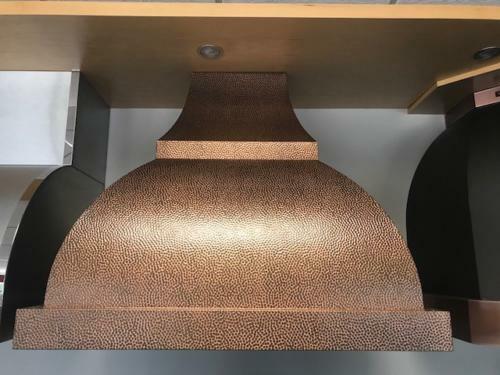 Description: Vent-A-Hood 300 CFM, Designer Series, wall mount hood with LED lights and SensaSource technology, in Antiqued Hammered Copper (Copper Vein interior). Perfect condition, mounted in showroom. Specifications: 36"W x 24"D x 30"T; 18"W x 12"D top. Click here for specs. 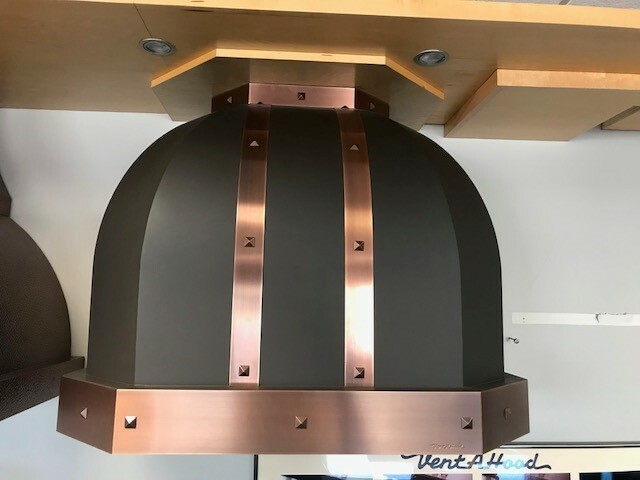 Description: Vent-A-Hood 300 CFM, Designer Series, wall mount hood with LED lights and SensaSource technology, in Oil Rubbed Bronze with lip treatment on top and bottom of hood and (2)-2" wide vertical bands on front. All trim in Antiqued Copper and attached with square clavos. Perfect condition, mounted in showroom. 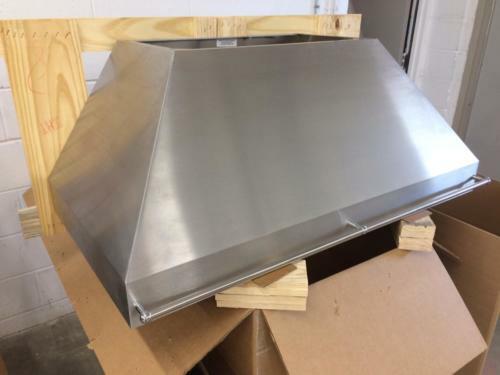 Specifications: Hood: 36"W x 21"D x 14"T; Duct Cover: 10"W x 10"D x 22"T. Click here for specs. Description: Vent-A-Hood, duct-free ARS, wall mount hood with halogen lights in Black Carbide, lightly textured powder coat finish. Perfect condition, mounted in showroom. Specifications: Hood: 36"W x 24"D x 18"T; Duct Cover: 36"W x 12"D x 12"T. Click here for specs. Description: Vent-A-Hood, 300 CFM wall mount hood with LED lights in Stainless Steel, with mirrored SS vertical trim bands on duct cover and hood. Mirrored stainless steel lip treatment across front and clipped corners. Perfect condition, mounted in showroom. 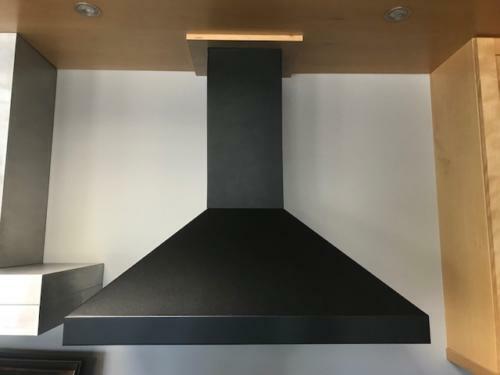 Specifications: Hood: 36"W x 24"D x 18"T. Click here for specs. 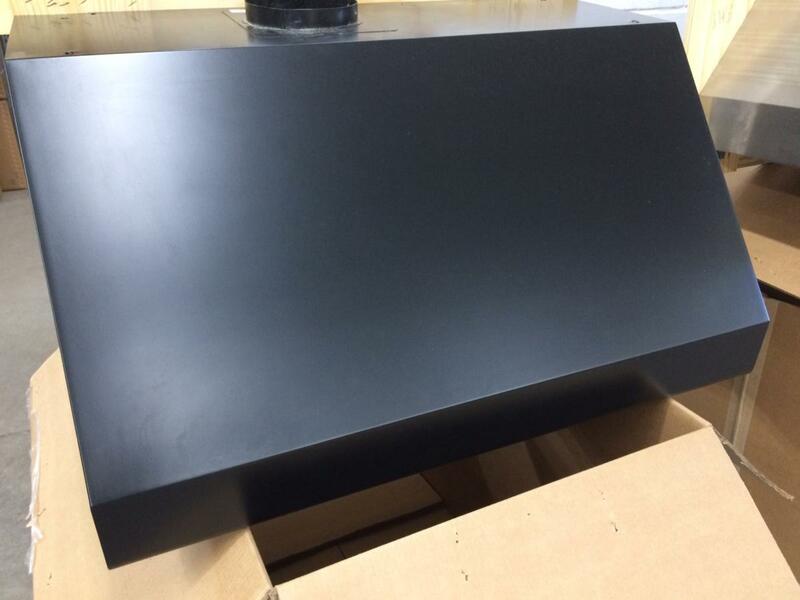 Description: Vent-A-Hood, 300 CFM wall mount hood with LED lights in Black powder coat finish. 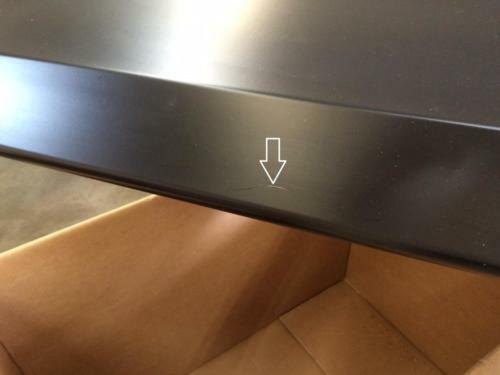 Had been installed and used. Has scratch on front lip, which a lip treatment, in finish of your choice, may be ordered to cover it at no additional cost. 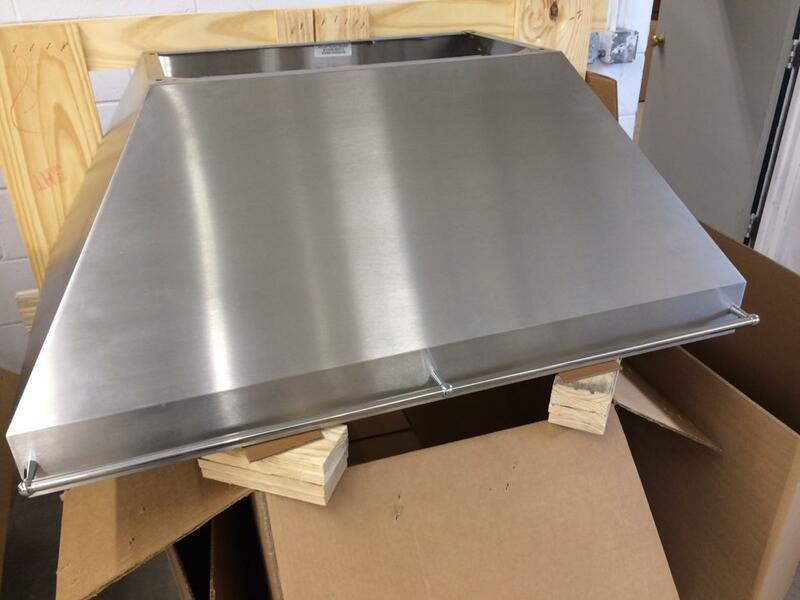 Specifications: 36"W x 21"D x 14"T. Click here for specs. 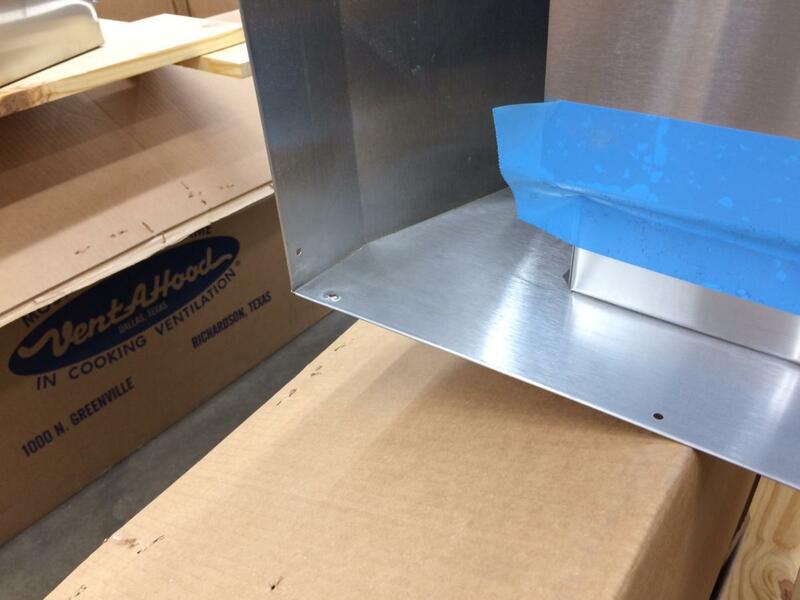 Description: Vent-A-Hood, 300 CFM wall mount hood in Stainless Steel with LED lights. Was poorly ground on left slope edge, so it is somewhat rough to the touch, but visually blemish free. 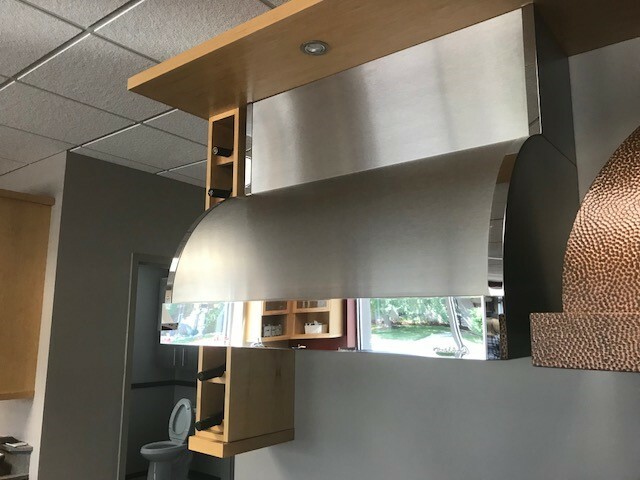 Description: Vent-A-Hood, 600 CFM wall mount hood in Stainless Steel with LED lights, sloped ends and a Chrome pot rail across the front. In perfect condition. 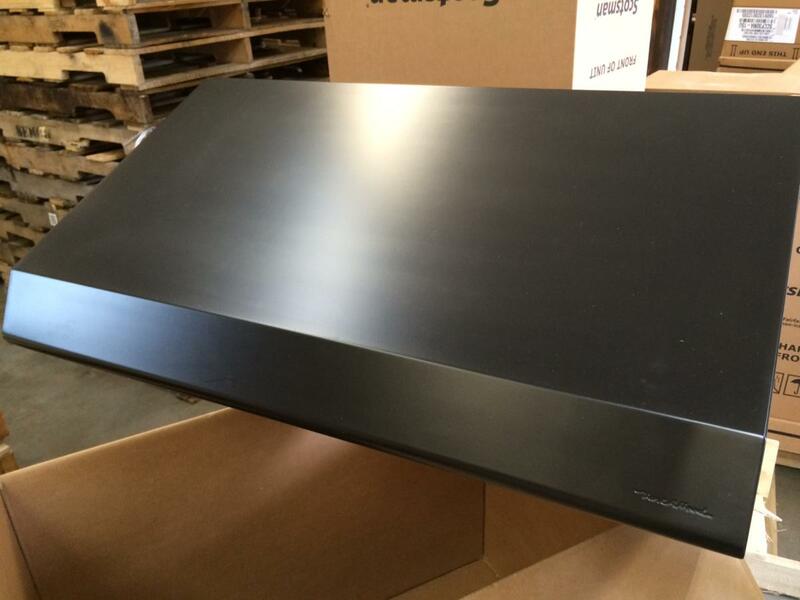 Specifications: 66"W x 24"D x 18"T. Click here for specs. 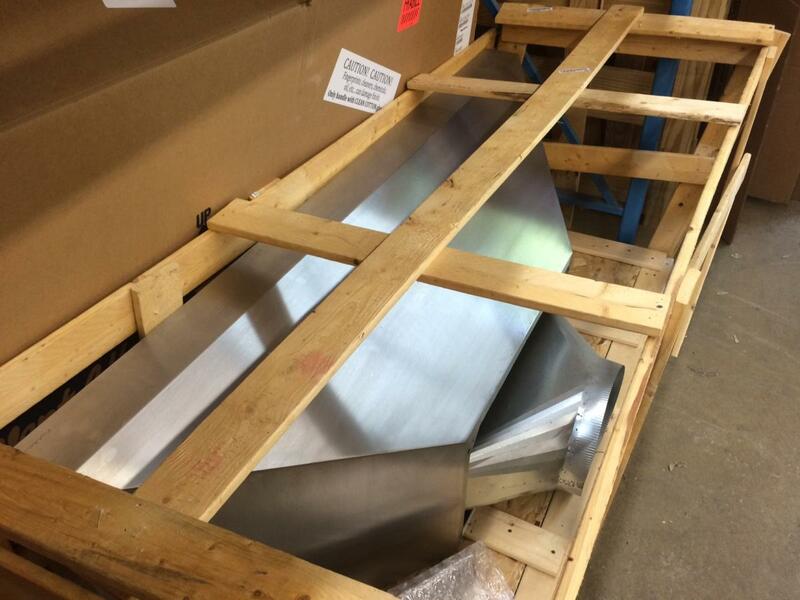 Description: Vent-A-Hood, 1200 CFM wall mount hood in Stainless Steel with LED lights. In perfect condition. Description: Vent-A-Hood, wall mount duct cover in Stainless Steel with removable front panel. Compatible with PDH14/SLDH14/PDH14-K to reach an 8' ceiling (placing bottom of hood at 24" above the cooking surface, per installation recommendation). Very slightly bent front, bottom left corner of removable front panel. 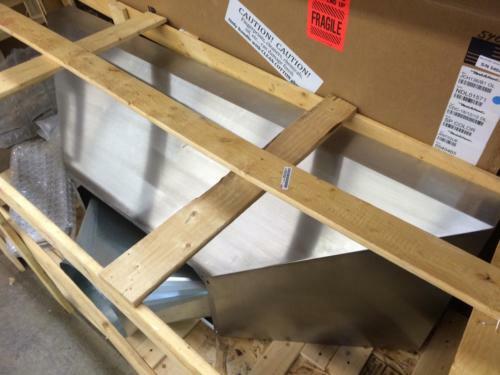 Description: Vent-A-Hood, wall mount duct cover in Stainless Steel. 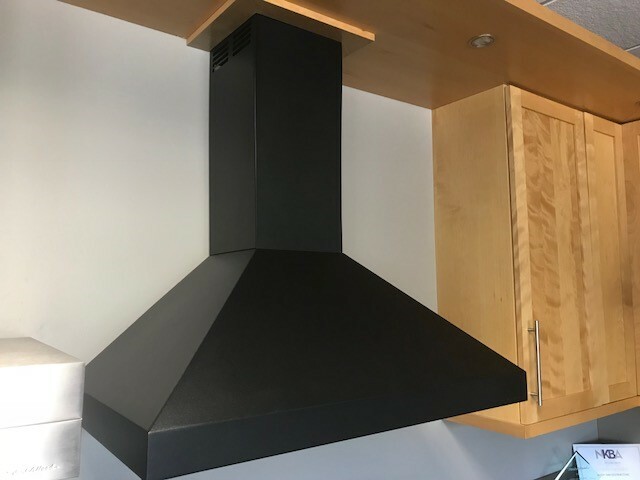 Compatible with PDH14/SLDH14/PDH14-K to reach a 9' ceiling (placing bottom of hood at 24" above the cooking surface, per installation recommendation). Slight dent on the top edge of the left side (side view pictured to show dent - not seen when looking at the front). 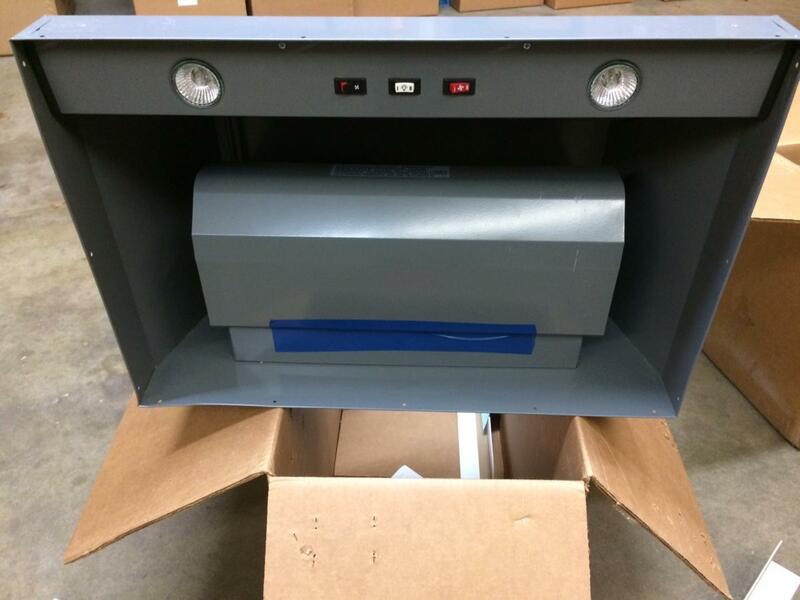 Description: Vent-A-Hood 300 CFM wall mount liner in Gunsmoke Gray with LED lights and SensaSource technology. 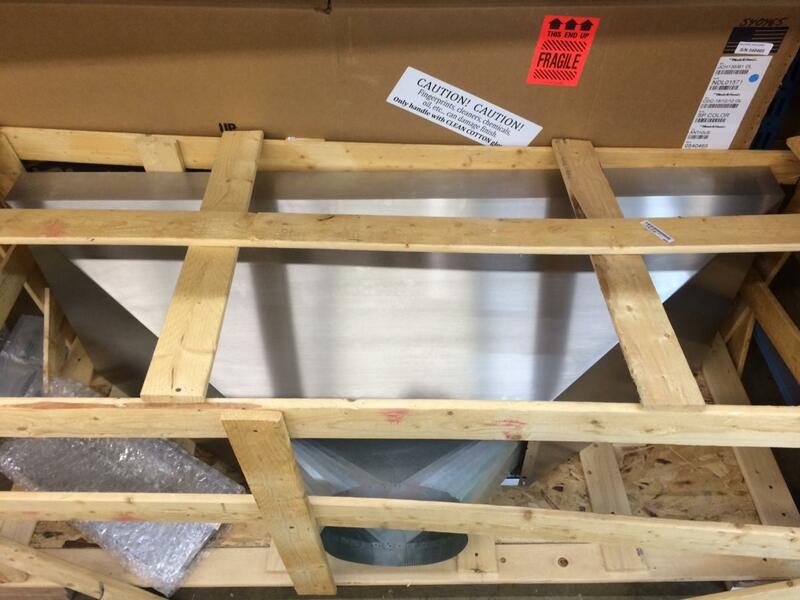 Description: Vent-A-Hood 300 CFM wall mount liner in Stainless Steel with LED lights and SensaSource technology. 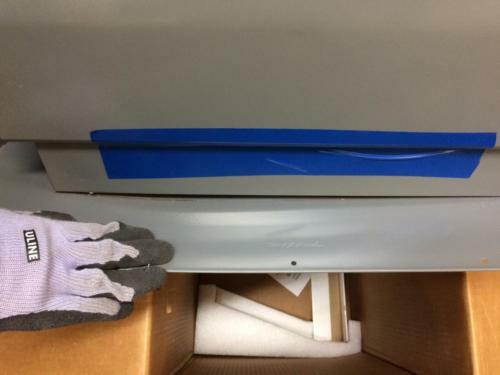 Description: Vent-A-Hood 600 CFM wall mount liner in Gunsmoke Gray with Halogen lights and SensaSource technology. 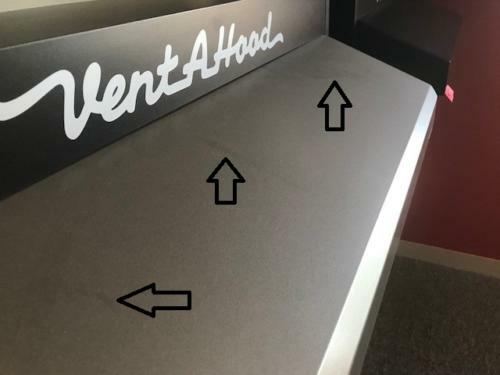 Discounted due to shipping damage on back panel in the lower left - looks wavy. 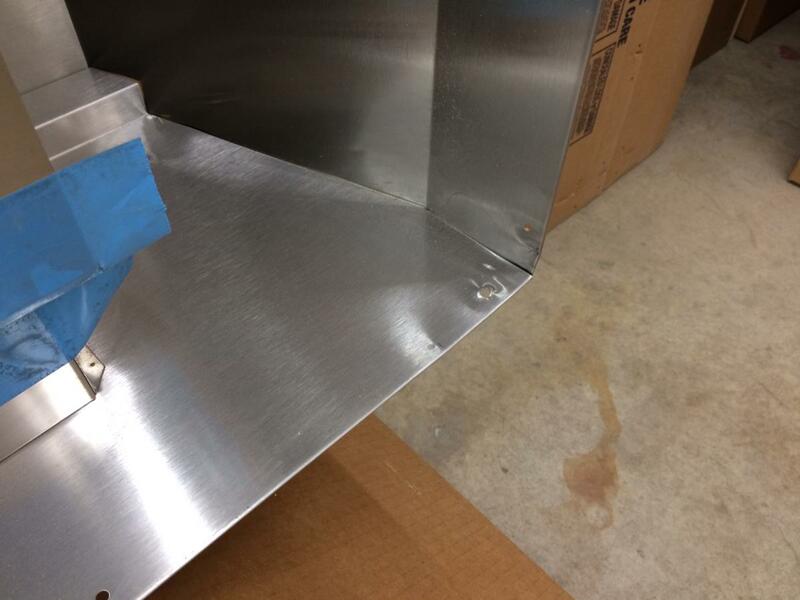 Has a rust line along the back panel, under the blowers. 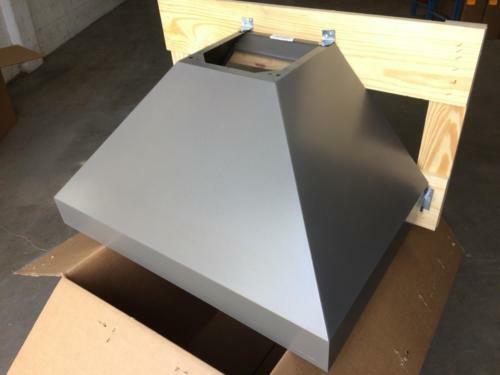 Description: Vent-A-Hood 600 CFM wall mount liner in Gunsmoke Gray with LED lights and SensaSource technology. 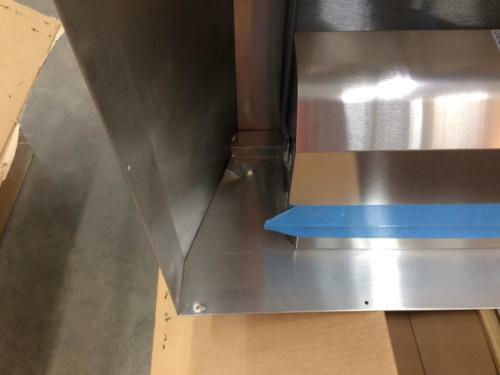 Description: Vent-A-Hood 900 CFM wall mount liner in Stainless Steel with LED lights and SensaSource technology. 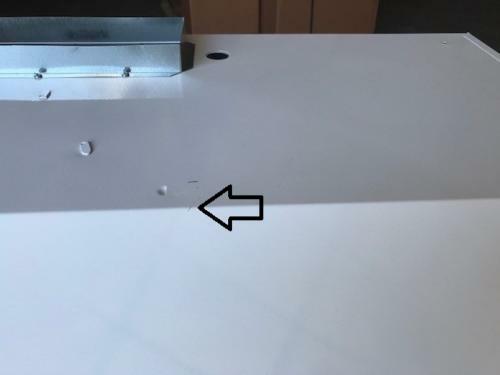 Dented on lower left side on back panel and corner joint. 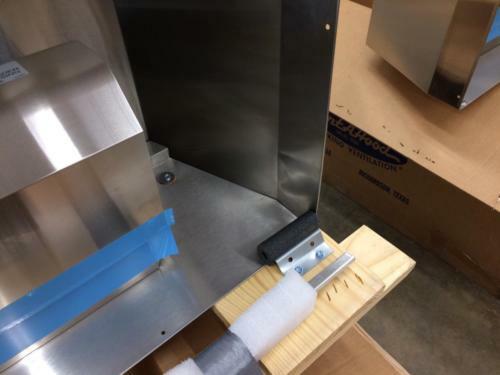 Some of the imperfections will be covered by the trim pieces, once installed. Description: Vent-A-Hood 900 CFM wall mount liner in Stainless Steel with LED lights and SensaSource technology. Discounted due to shipping damage; has slight waves on bottom of liner. The imperfection will be covered by the trim piece. Description: Vent-A-Hood 900 CFM wall mount liner in Stainless Steel with LED lights and SensaSource technology. Has a very slight ripple on the right side. 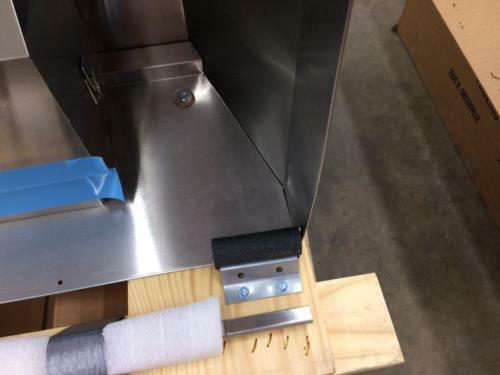 Description: Vent-A-Hood 900 CFM wall mount liner in Stainless Steel with LED lights and SensaSource technology. Has scratches on back panel and a dent on outer, back upper corner that will not show once installed.